Special Policeman Henry Kaepernick was accidentally shot and killed by a guard at the Faribault jail. Several days earlier, the Younger brothers, notorious bankrobbers and accomplices of Jesse James, had been captured and brought to the jail. Because of fears that the brothers’ accomplices would attempt to break them out of jail using a ruse, police officers were told not to visit the jail without calling first. For an unknown reason, Special Policeman Kaepernick did not receive this message. In the early morning hours of October 3, 1876, he approached the jail and identified himself as an officer. The guard, who was not expecting him, ordered him to halt. Special Policeman Kaepernick, surprised that the guard did not recognize him, again identified himself as a policeman and reached to pull back his jacket and reveal his badge. The guard mistook his gesture as an attempt to draw a weapon and fired, striking Special Policeman Kaepernick in the chest and killing him instantly. Special Policeman Kaepernick was 29 years old. 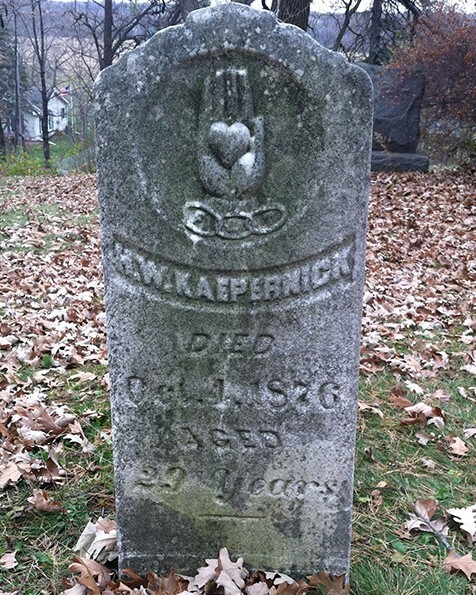 He was survived by his mother, step-father, and several brothers and sisters, and he is buried at Oak Ridge Cemetery in Faribault.